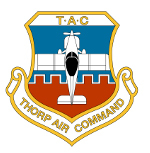 Thorp Air Command - T18.net • View topic - We fly for food! Post subject: We fly for food! Part of the Northwest Thorp Gaggle gathered for lunch at Elie's at the Airport, Arlington, WA (KAWO). The weather was a balmy 35 degF, other parts of Puget Sound area were clear and sunny today, great day for flying. Post subject: Re: We fly for food! Good looking group ! 35 degrees is well below my personal minimums ! I was born in Seattle and spent a lot of time at my Grandparents homes in Port Orchard and Tokeland , WA . Beautiful country ! There house in Port Orchard was right across from the Bremerton Ship Yard on a hill and you had a great view of the ships coming and going ! I remember in Tokeland we would go down to the dock and get a BIG bag of Dungeness crabs right off the boat and boil them suckers up ! At Christmas we went out in the woods and cut our own tree ! 77 degrees here in San Diego last week . My red blood cells like that temp mucho more ! That's a good looking group of airplanes. Nothing like a big plate of biscuits and gravy after a good flight! Good times. Marilyn and I were beating around in our Cessna at the same time! I need to work harder on 'Feisty' and get into the Northwet T-18 lunch club! The past several days have been bright and sunny and cold in the Seattle area. On Thursday some of the local Thorp gaggle and friends gathered at the Spruce Goose restaurant at Jefferson County International airport (0S9) for lunch. The Spruce Goose is known for their home made pies, the rest of their food ain't all bad either. Some of the local scenery on the way home. That's Puget Sound in the foreground with the Cascades in the background. A Washington State Ferry at the Edmonds ferry terminal, this is for Gary J. and Scott E.
BEAUTIFUL ! I remember as a very young lad my Grandmother taking me up in the Space Needle back in 1963 (right after the World's Fair) . Back them you could ride the Monorail for 10 cents ! BADA BING , BADA BOOM ! Sooner or later you WILL be my age ! You are absolutely right, I'm already nipping at your heels. So any new developments on Sedona, just kinda gearing up. Sedona ? Not really . Just a new POC for group sales . Her name is Karlinda . Ask for her with regard to the T-18 group rooms at the Lodge . Hopefully this year the winds will cooperate and we can do some sort of fly out ? Today was a gorgeous day in the Puget Sound region so several of the NW Thorp seagull flock headed to Westport (14S) on the WA coast for lunch, what else . Such a wonderful fall day was too good to waste, we headed south along the coast to the mouth of the Columbia River before turning east and returning home. File comment: Flying south along the coast. File comment: Mt Rainier on the way home. Very nice. Love seeing folks enjoy their Thorp's. We're at it again yesterday (10-31), flew down to Independence, OR for lunch at the StarDuster Cafe, instead of a straight line we headed for the coast at Willapa Bay, WA down to Tillamook, OR before heading inland to 7S5. The weather was fantastic for this time of year, CAVU and very little wind. File comment: Tillamook, OR (TMK) airport with the WWII blimp hangar. 4 Thorps as bookends to a RV12 on the ramp at Independence. The RV (N912DV) arrived after the Thorps and it is registered to.... wait for it ... Richard VanGrunsven, he and his wife came for lunch also.